Who'd have thought, more new content after all this time? 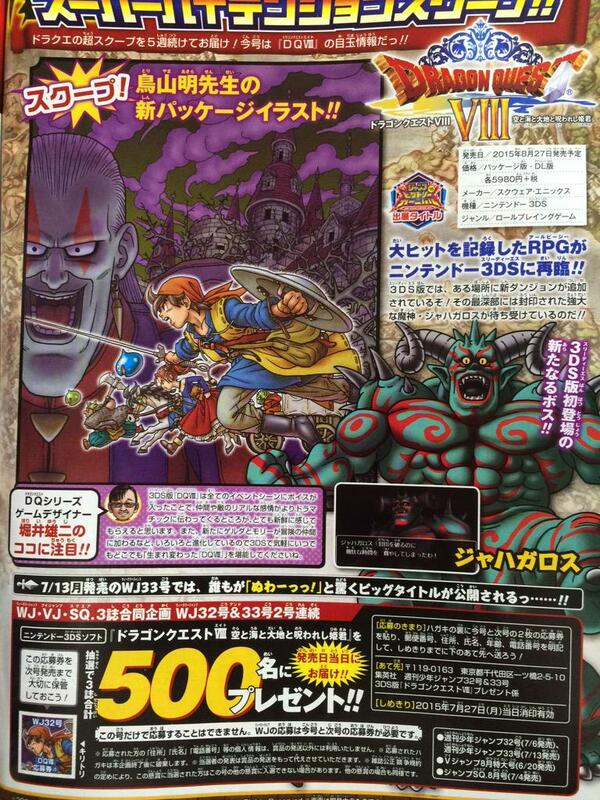 Dragon Quest VIII: Journey of the Cursed King is edging ever closer to release on the 3DS in Japan, and as its release date nears we're seeing additional information trickling out. For insance, now we know it's going to feature an entirely new dungeon as well as a new boss monster named Jahagaros. If you thought you'd seen all the game had to offer before, it turns out you really haven't seen anything yet. 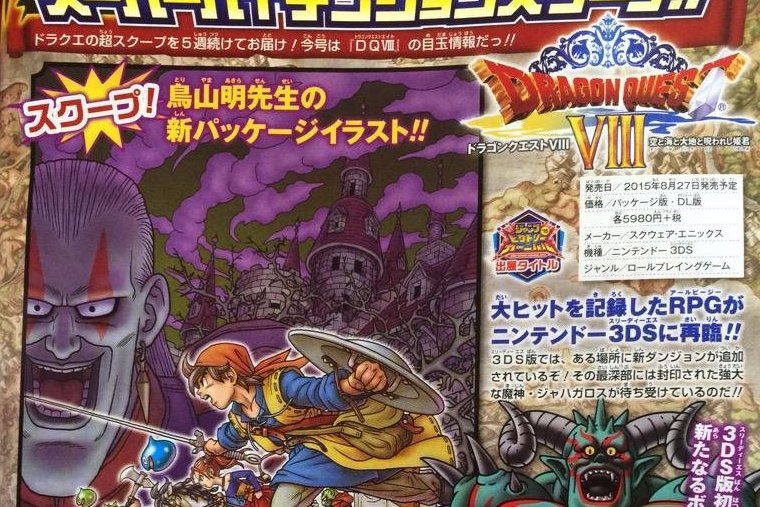 The game will also feature special new box are from Akira Toriyama of Dragon Ball Z fame as well as some other surprises, particularly, like the latest issue of Weekly Jump states, one that'll make people say "Nuwaaa!" If you're not in the know, that's a quote from Pankraz of Dragon Quest V fame. Could Pankraz be making an appearance? Only about a month left to go so we can tell, as the game comes out on August 27. That's still plenty of time to get caught up on the Dragon Quest games you haven't completed in the interim if you start working hard enough, right?